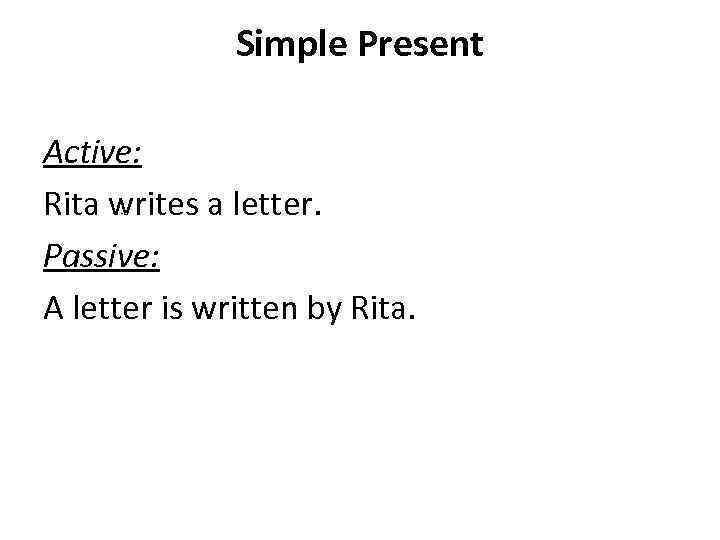 Simple Present Active: Rita writes a letter. 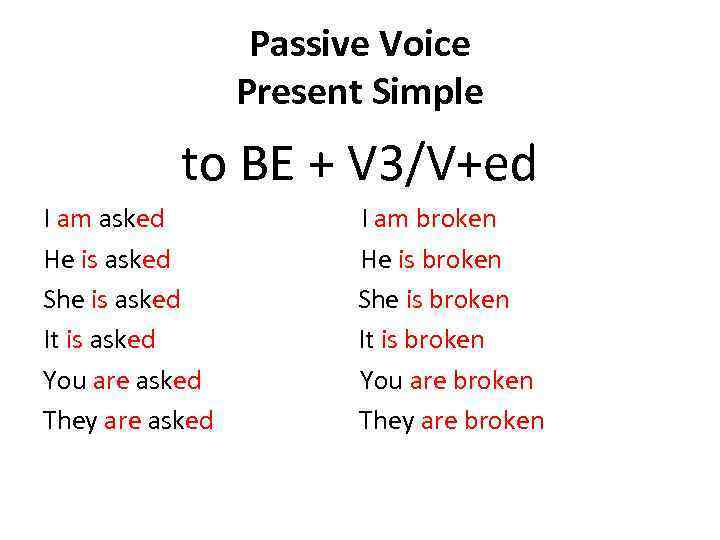 Passive: A letter is written by Rita. Simple Past Active: Rita wrote a letter. 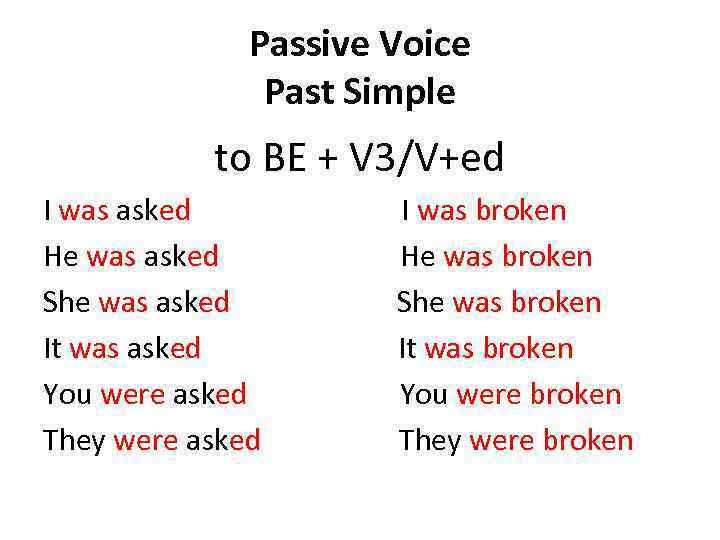 Passive: A letter was written by Rita. 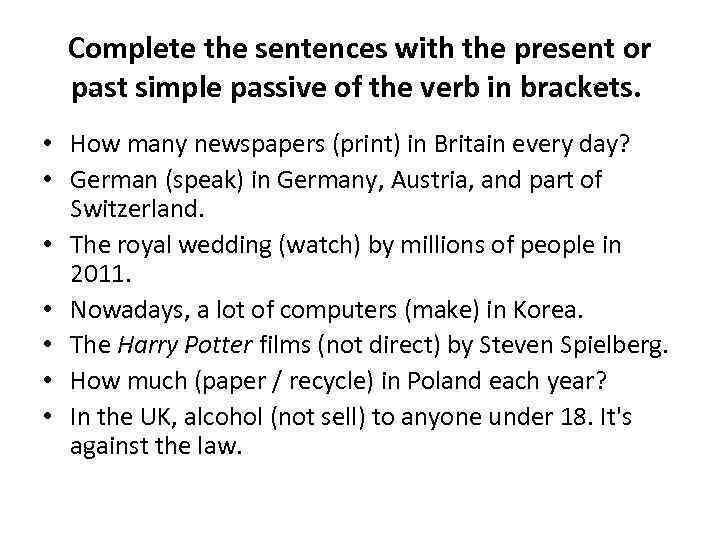 Complete the sentences with the present or past simple passive of the verb in brackets. 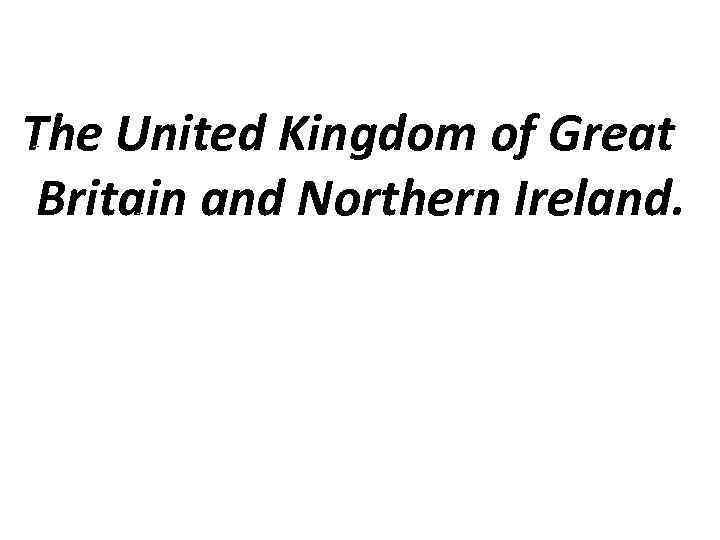 • How many newspapers (print) in Britain every day? • German (speak) in Germany, Austria, and part of Switzerland. • The royal wedding (watch) by millions of people in 2011. • Nowadays, a lot of computers (make) in Korea. • The Harry Potter films (not direct) by Steven Spielberg. • How much (paper / recycle) in Poland each year? • In the UK, alcohol (not sell) to anyone under 18. It's against the law. 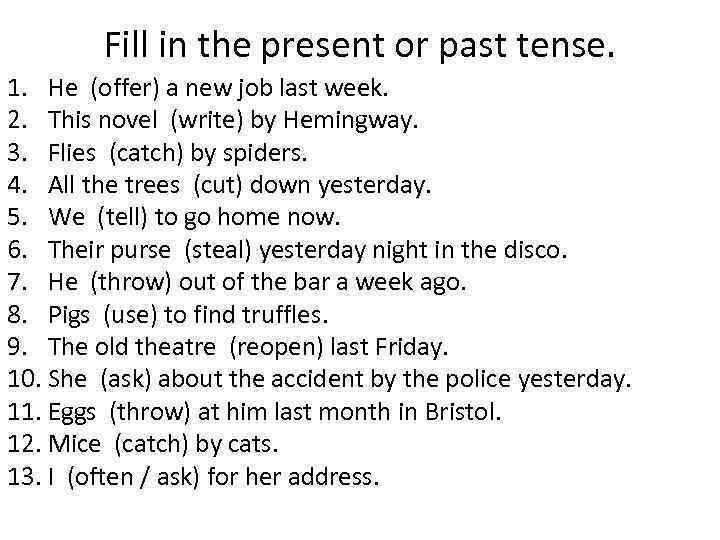 Fill in the present or past tense. 1. He (offer) a new job last week. 2. This novel (write) by Hemingway. 3. Flies (catch) by spiders. 4. All the trees (cut) down yesterday. 5. We (tell) to go home now. 6. Their purse (steal) yesterday night in the disco. 7. He (throw) out of the bar a week ago. 8. Pigs (use) to find truffles. 9. The old theatre (reopen) last Friday. 10. She (ask) about the accident by the police yesterday. 11. Eggs (throw) at him last month in Bristol. 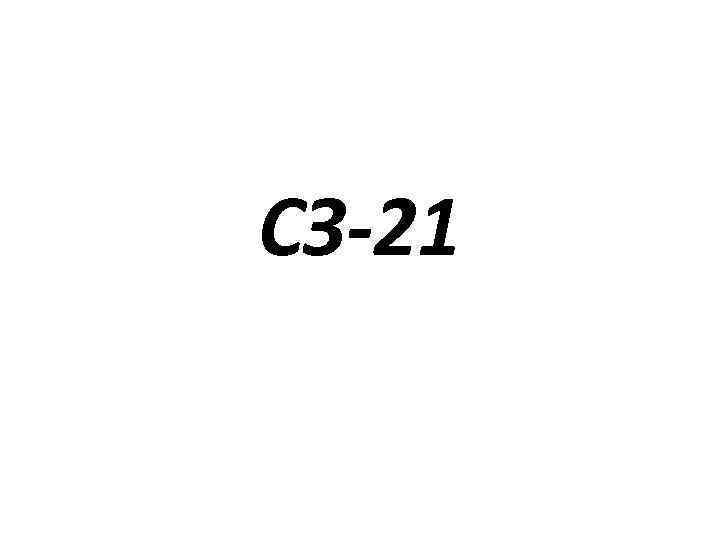 12. Mice (catch) by cats. 13. I (often / ask) for her address.